I am always trying new shampoos and conditioners when I have finished my current bottles. I am still trying to find the perfect one for me, with hopes that it does still exist and I am not just being too picky. I like shampoos and conditioners that are nourishing for my dry ends but don't weigh my hair down. 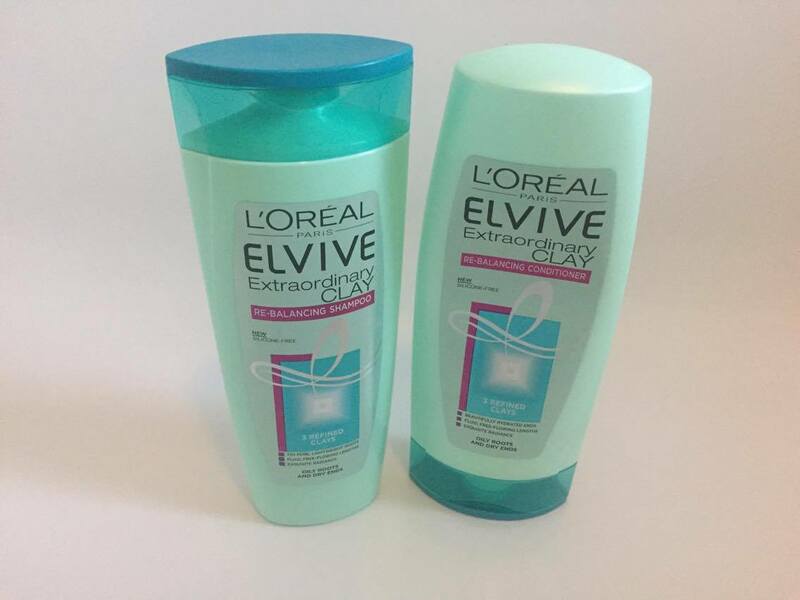 Clay has been a buzz word in beauty products for the past few months, with different clays in hair products and face masks so I was intrigued to see what the Elvive Extrandtionary Clay Re-blancing Shampoo and Conditioner duo is all about. From the packaging it did sound right up my street as the clay helps to end the vicious cycle of oily roots and dry ends - and who doesn't want that? The ends of my hair can get pretty dry so I do usually use hydration masks and serums to help my ends not spilt. After using this combination for a while now, I am still unsure what to really make of it. It does hydrate the ends of my hair but I found my roots are still a little greasy so I have needed to wash it again the next day. I think this might be down to a trial and error approach of how much to use, as I think I may be using too much and thats what has been making my roots look a little greasy. 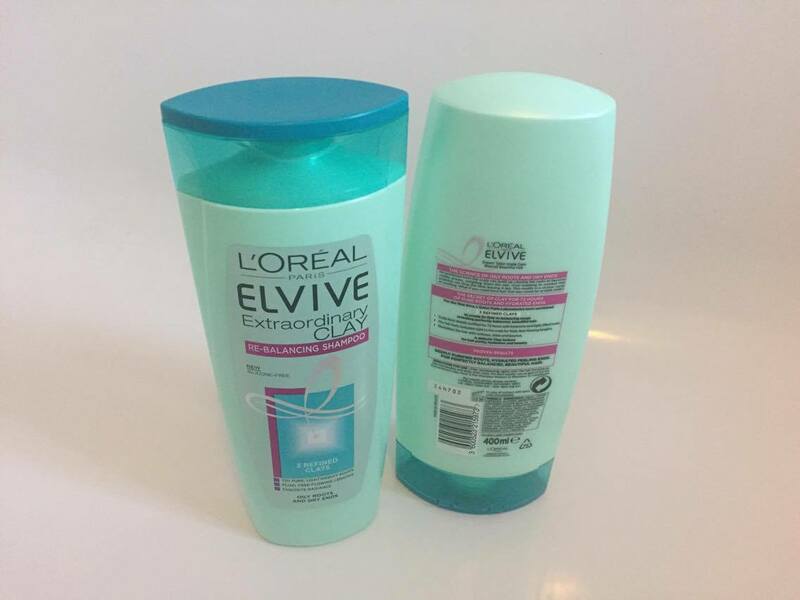 Both bottles are 250ml bottles so can you get plenty of washes from them and they are usually at £3 each so you do get plenty for your money. 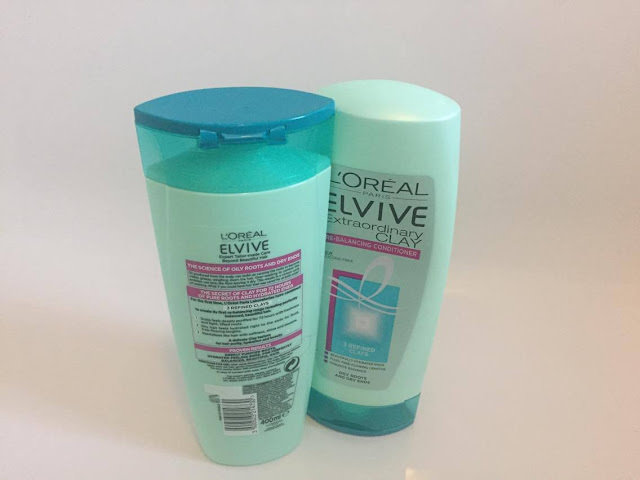 I usually wash my hair three times a week, depending on what I have been up to, and this habit has not really changed using this Shampoo and Conditioner. Which is a little disappointing really, considering that these products should mean fewer washes are required. This might change however if I do discover the correct amount to use. Overall, my hair has been shiny and it feels and looks hydrated at the ends but the conditioner I think its a little heavy so has meant that I still need to wash my hair again to bring some life and bounce back into it. Have you tried this clay shampoo and conditioner or any other clay products in this range?